← “…it is up to the individuals to protect their own rights…” Declaration of the Occupation of New York…and a Simpatico Marine! Hornets Nest Readymade Art. Really. What’s the buzz? 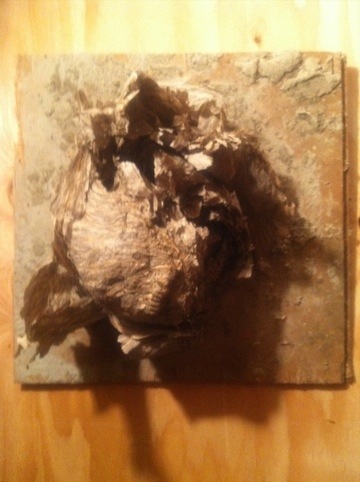 Hornet nest on caulking board. Nest about the size of a football. 2011. This entry was posted in ANIMALS: Human and otherwise..., Architecture, iPhone, Mendocino County, Photography and tagged Art, Hornets, Readymade, Renovation, Rural Gay Life. Bookmark the permalink.